I've Finally Got It! A Much Better Web Site ROI! Yeah! That's it! "Can Do" Kids Crafts has a much better web site ROI then any of the other ideas I've had. And of course, a return on investment is a big reason I'm building a website in the first place. For both fun and extra income! A big kiss to you for giving me some really solid advice. Sometimes, well most times, when you only have yourself to talk with, to and at, you tend to loose the plot! Ok, I'm off and away. . . I am going to get a friend to draw up the logo for me and start thinking of a tag line. 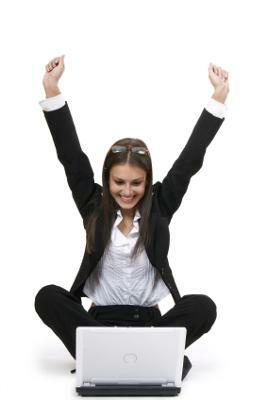 Planning out a website and ebusiness is like the gestation period in pregnancy! Although it better take less than 9 months to birthing! The Poppit, my little precious one, is throwing a ton of ideas at me at the moment. I told her that if she likes she can have a very special place on the website. Now her head is off and running with a million different ideas. Got to love that! So I'm getting a little closer to the real thing. I bet you never, ever thought that you would end up playing "Midwife" at this stage in your life. Gosh, come to think of it, are you the father of my cyber-baby? And if so, do I have to set-up visitation rights now or wait to see if it looks like you? Little "Can Do" will be up in no time so I best get working on making sure that I've set groundwork so I create a solid foundation for getting a better web site ROI so my little tyke will make his Mama proud. I have no doubt that you are going to bring up your new cyber baby in such a way that it will literally knock the socks off the cyber world! 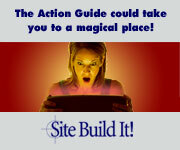 I re-read each day (and watched the video's) of the Site Building Action Guide to be sure that I included each and every bit of strategies and techniques that are recommended. That saying couldn't be more true when it comes to building a website. Just take your time, do each step s-l-o-w-l-y and your new Cyber Baby will be venturing out into the virtual world of ecommerce opportunity sooner than you ever thought possible.